My daughter doesn’t have this problem (at least not yet! ), but she’s tall, and she could definitely pull of a maxi dress! Sew Like My Mom was testing her new pattern, the Dogwood Dress, which includes 3 hem options and 2 lengths, so needless to say, I jumped in! 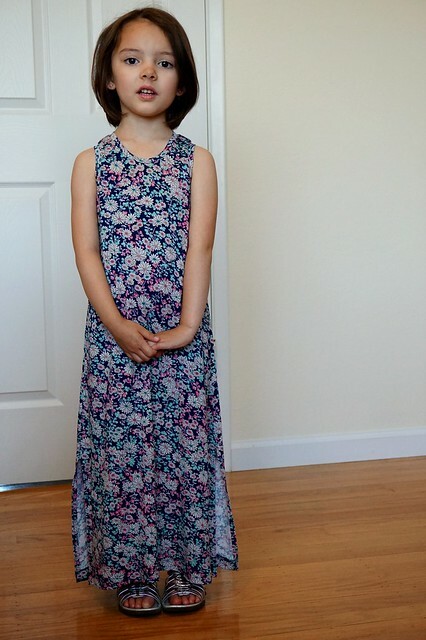 I was hoping my daughter would choose to test the high-low maxi version, but she went for the simple straight hem maxi dress. Even though it’s simple, it does include slits on the sides to make walking around easier and give it that elegant look. Also, the pattern recommends using a lighter weight knit for the maxi versions as heavier knits can weigh too much for our little ones. 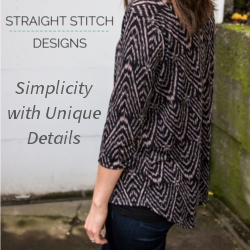 I selected what I believe is a rayon jersey blend, it’s lightweight, and the drape is very fluid and beautiful. I got it from Girl Charlee last year to test the Little Miss Ruby Tuesday with, but never got around to it. That’s ok, because it was destined to become a Dogwood Dress! 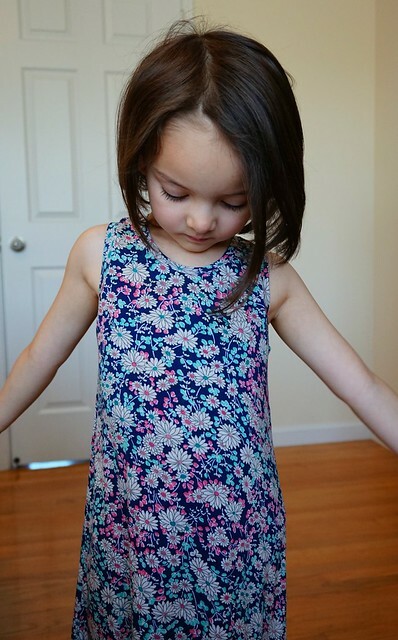 I based my size selection off of my daughter’s height, which put her into a size 4, and selected a size 3 bodice. The pattern itself is very different from most, as she uses the same piece for the front and back, for every version, but you can attach the different skirt pieces and bodice front and back pieces as you need them. A couple of testers had a tough time at first understanding this, but if you look at the diagram page for the pattern, it’s pretty clear. Construction is much like any other knit top, I used my serger to attach the neck and arm bands. I moved over to my sewing machine for the sides and slits, and since I was there, finished my bottom too, all with a ball point needle, stretch stitch, and walking foot. When I was sewing the slits, I put tissue paper between my fabric and the feed dogs so the fabric wouldn’t be pulled down. I’m super happy with the way it turned out, and she loves it because it makes her feel older. We’ll probably save it for fancier events or dinners, since it’s a maxi, she can’t really run and climb in it, but that’s ok. It’ll be nice to have something without a stain to wear out! 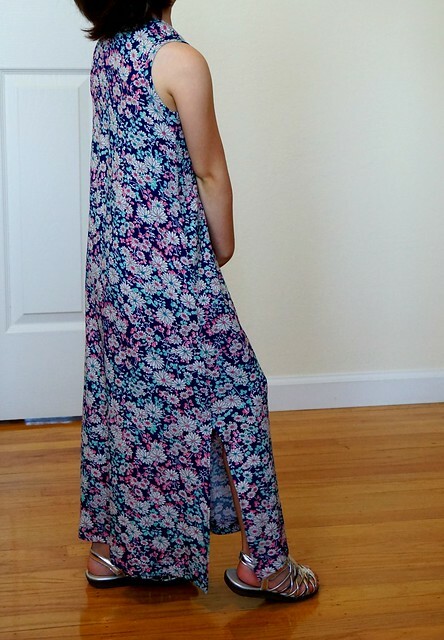 I tested the maxi, straight-hem version, too. But I must have missed the part about using a lighter knit. Oops!! Haha! I think it was in the comments for someone’s post at the beginning. Yours was still very cute!